The natural consequence of this is that many people simply don’t know how to look after their gums. Make no mistake, your gums are important. In some cases, they can even lead to tooth loss! That’s because gums seal and protect the teeth – essentially, they hold it all together. As such, it’s not hard to picture how problems here can cause major problems with your teeth. What do heart and breathing problems have in common? Answer: they can both be caused or aggravated by gum disease. It’s not just your heart, either. Infected gums can taint air with bacteria as you inhale, carrying it down the throat and into your respiratory tract and lungs. This puts you at risk of respiratory diseases such as pneumonia and bronchitis. Let’s not beat around the bush: gum disease hurts. This is because your gums are sensitive. And when you use an inadequate oral hygiene programme, the point where your gums and teeth meet can become susceptible to plaque build-up. This plaque presses on your gums, potentially weakening them gums and leading to periodontal diseases. Your gums aren’t designed to have constant pressing on them. As a result, this pressing often results in gum pain. The only way to prevent this from happening? Good oral care habits and regular visits to your dentist. Did you know that your gums seals and protects your jaw bones? Severe cases of gum infection significantly affects your jaw bones. That’s because bacteria can work its way down from your gums, infecting further and further down until it strikes your jaw. And once it does, it gets to work eating away at the underlying jawbone. At Dental Care Group, we educate all our patients about the mouth-body connection. Essentially, since the mouth is the “entryway” to the rest of your body, oral health has flow-on effects for the rest of your health. Like we mentioned above, this is the reason gum disease is linked to heart and breathing issues. 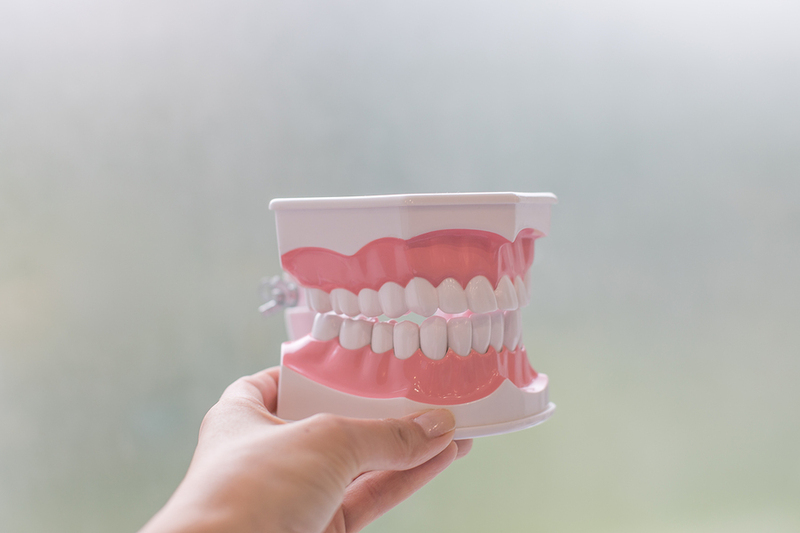 Simply put, there’s a reason we call it the body-mouth connection – taking care of your oral health affects your entire body! Alright, so now you know why it’s important to look after your gums. That just leaves one all-important question: just how are you supposed to go about this? Luckily, your gums aren’t exactly picky – they won’t demand massive changes to your dental hygiene routine. In fact, in most cases protecting your gums only requires minor modifications to your routine. 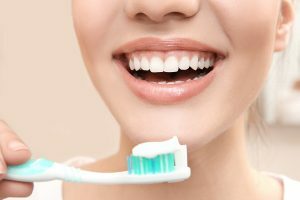 Brushing your teeth and doing it properly are two entirely different things – it’s not enough to just go over them for a couple of seconds in the morning. Unsure whether your routine is getting the job done? Get in touch with your dentist in Armadale – we’ll give you pointers, and can even provide specialist toothpastes for a more thorough clean. Much of the bacteria that causes gum disease hides out in the gaps between your teeth. Ordinary brushing has a hard time reaching these areas. That’s where our good old friend floss comes into the picture! After brushing, finish off the job using dental floss. This will remove plaque and other food residues that regular brushing can’t clean, providing an extra bit of cleaning (and protection) against gum disease. More than just brushing and flossing your teeth, always maintain adequate nutrition by avoiding sugary and non-nutritious foods that can significantly contribute to any form of gum disease. Keep a healthy diet by eating the right kind of foods that are helpful in ensuring proper nutrition. On a related note, if your goal is healthier gums, it’s a good idea to cut the smokes and booze. Both of these things are essentially the worst thing you could consume when it comes to your gums. Alcohol drastically increases your chances of gum disease, with periodontitis a common problem in frequent drinkers. And the less said about tobacco (in particular, the way it decays your gums and weakens your immune system, hampering recovery from gum disease), the better! 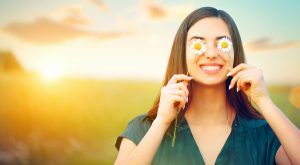 This isn’t just a good piece of advice for maintaining your dental health – it’s also just a good piece of advice all-round. Most dentists recommend getting your teeth checked at least once a year, and ideally twice. We’re one of them! Not only does this allow us to check the state of your gums, but it also means we can provide ongoing support and advice. For example, if we notice that your gum disease has progressed further, we can prescribe more powerful toothpaste. Essentially, it’s a lot easier to maintain healthy gums when your dentist is there in-person. Online advice is general – while helpful, it doesn’t help much when it comes to treating your specific gum conditions. Additionally, your dentist in Armadale can demonstrate proper hygiene. If you’re the type of person who has difficulty following abstract instructions, this can make all the difference! Based in Armadale directly across from Malvern Central, Dental Care Group is your go-to dentist for advice on your periodontal (gum) health. Our dental clinic in Armadale specialises in preventative dentistry. We can provide you with proven hygiene solutions tailored for your gums, as well as emergency treatment for severe gum disease. Contact your Armadale dentist today on (03) 9509 1500 or book online now to get the best care for your gums!